PaCSIA is proud to announce a new project that we launched on 1 August 2016. We are being funded by the German protestant development agency Bread for the World to partner with and support Indigenous Melanesian organisations working on issues of public dialogue, peacebuilding and conflict resolution. The “Melanesian Peace Dialogue Network” (MPDN) project aims to build the capacity of local Indigenous non-governmental organisations to plan, facilitate and develop grassroots dialogue processes in Melanesia. Melanesian countries (PNG, Vanuatu, Solomon Islands and Fiji) are currently experiencing an unprecedented era of social change which causes political, social and environmental pressures. Since their independence these countries are in a process of state-building that is often marred by a lack of internal revenue, frequent political upheaval and violent conflict. In spite of these problems, many communities in the region have also preserved Indigenous systems of governance and conflict resolution which provide social order and peace at a community level. The project recognises and supports these local customary systems and processes and aims to support and further develop the interface of introduced governance systems at state level and the customary governance structures at community level. Many community processes of decision-making and conflict resolution are based on – what we could call in Western terminology – oral dialogue processes, in which communities and conflict parties converse about problems, share stories and engage in joint processes of ritual and reconciliation. The oral dialogues are based on the principles of human recognition and the enduring value of Indigenous languages and kastom, as living systems connecting people to their land and each other. These provide a foundation for respect and peace in community relationships. It is the aim of this project to support such work and to assist local organisations and communities to further develop their dialogue processes so that they can address contemporary problems often connected with international development, an encroaching of the cash economy and widespread social change. The project also recognises the importance of strengthening and supporting networks of learning and development through a peer-to-peer learning model which brings peace builders from across Melanesia together. To accomplish this we have incorporated a component of reflective practice exchange in which practitioners from all partner organisations meet with each other to inform each other of their work and to discuss commonalities and differences. In the first year of this project we will work with three Indigenous peacebuilding organisations. In Bougainville we work with Bougainville Indigenous Dialogue (BID) and Nasioi Peacebuilding Association (NPA), both based in Arawa, Central Bougainville. In Solomon Islands we work with the Sycamore Tree Project Solomon Islands (STPSI) run by Prison Fellowship Solomon Islands (PFSI). All three partner organisations have planned their project activities and have provided budgets for their work. PaCSIA has started to source equipment and to provide funding to the local organisations. 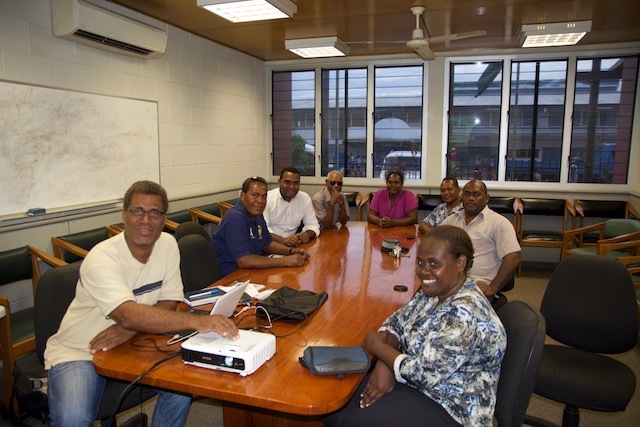 In September 2016 PaCSIA project leader Dr Serge Loode traveled to Honiara to meet with the team from Sycamore Tree Project Solomon Islands. He was very warmly welcomed and was able to discuss the past and future work of STPSI with the team as well as the ways in which the Melanesian Peace Dialogue Network can assist STPSI. He was also invited to visit prisoners in Rove Prison in Honiara and in Tetere Prison Farm to speak with them about the impact of the work that STPSI is doing. STPSI is grateful for the support from Bread for the World and eager to share their experiences and learning with the other two organisations from Bougainville. 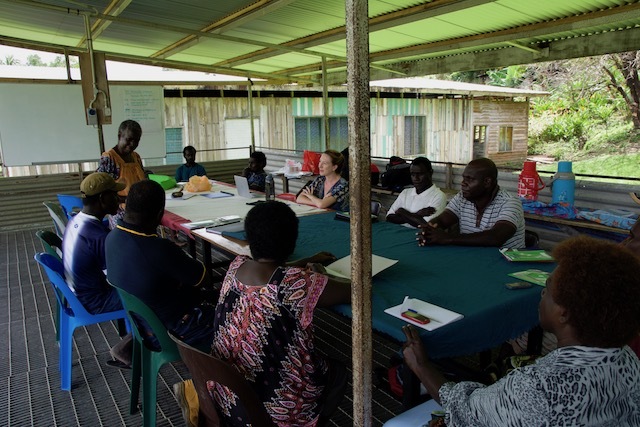 In Bougainville MPDN will further help to expand the work of Bougainville Indigenous Dialogue, the local NGO founded by the facilitators of the Panguna Dialogue Project. 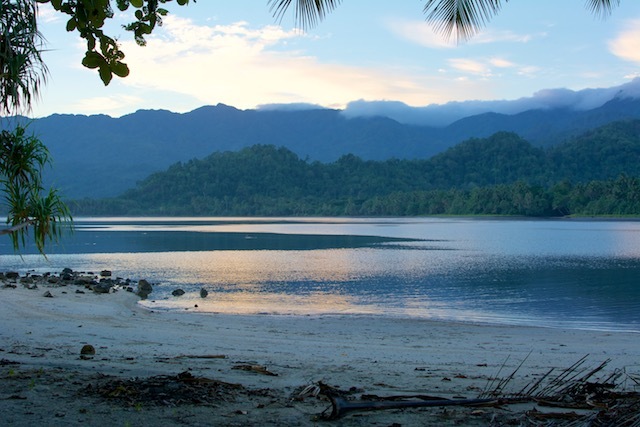 BID has planned three community dialogues that they are going to facilitate in Ioro, Bolave and Eivo-Torau, in Central and South Bougainville. These dialogues were requested by the respective communities after they heard about the work of BID under the Panguna Dialogue Project. They deal with different issues and it is BIDs’ desire to expand and maintain their community facilitation work. MPDN has also brought BID together with another peacebuilding NGO in Central Bougainville, the Nasioi Peacebuilding Association. Founded and mentored by Magdalene Toroansi, a graduate from the Pacific Centre for Peacebuilding’s Women Leadership program, NPA has developed a number of training programs in peacebuilding and facilitation that they provide to local leaders, women’s groups and young people. After all three organisations have completed their project activities, PaCSIA will bring them together in Bougainville in 2017 for the MPDN knowledge exchange.